Sterling is a small Connecticut town that has deep historical roots and is full of lush greenery, open spaces, and great, community-minded people. Not only do the people who live here enjoy the plentiful outdoor spaces, so, unfortunately, do many insects, rodents, and other pests. To keep these pests from making their way into your Sterling home or business to live, breed, and feed, put into place pest control services from the Connecticut pest control experts- Big Blue Bug Solutions. 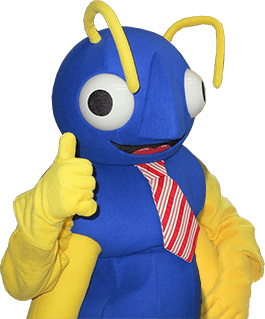 For over 80 years Big Blue Bug Solutions has been protecting New England properties from a wide variety of nuisance and dangerous pests, let us help you protect your home, family, and/or business from the pests that can cause damage, introduce disease, and destroy property. Contact us today to learn more about our environmentally responsible pest control solutions. Big Blue Bug Solution’s Home Owner’s Policy or HOP provides our New England customers with the services needed to eliminate pests and protect their homes from future invasions. HOP provides three service visits per year from our dedicated technicians who will provide on-going preventative treatments and on-going monitoring of susceptible areas. Through HOP we also provide our customers with the guarantee that if pests become a problem in-between our visits we will return at no charge to take care of the problem. Peace of mind and no more pests, what more could you ask for? Another benefit of choosing Big Blue Bug Solution for your home pest control needs is our exclusive Blue Glove Service. This service guarantees that our technicians will wear blue gloves and blue booties when entering your home. This service helps ensure that your home will be just as clean after we leave, as it was before we arrived to perform our pest control solutions. In addition to our year-round home pest control service we offer the following targeted services to help prevent specific pests from invading your Sterling home and property: bed bug solutions, carpenter ant solutions, mosquito and tick solutions, termite solutions, wildlife solutions, and pest control insulation. Give us a call to learn more. Carpenter ants are a type of wood-destroying insect, however unlike some other wood-destroying insects these large black ants don’t eat the wood they have invaded, instead, they create nesting areas inside the wood. Carpenter ants typically nest outdoors, but they will often find their way inside homes and other buildings while foraging for food and then decide to stay and set-up satellite nests behind walls or underneath of floors. Carpenter ants, if not eliminated will continuously tunnel through your home causing more and more structural damages. To eliminate problems with large black carpenter ants on your Sterling property, Big Blue Bug Solutions offers highly effective carpenter ant control treatments. These treatments will work very effectively to eradicate any size infestation and are back by our one-year carpenter ants warranty which is transferable and can be renewed on a yearly basis! To learn more about ridding your property of damaging carpenter ants, give us a call today at Big Blue Bug Solutions. Immediate action against any pest problems that may pop-up (treatment for bed bugs or termites requires a bit more planning). In addition to our highly effective and cost-effective monthly maintenance program, we also offer the following commercial pest control services: Integrated Pest Management (IPM), pest control insulation, drain cleaning, and our Bar Code Monitoring System. Get in touch with us today to implement a professional pest control program into your Sterling business. The following easy to follow tips can help to prevent your Sterling home from being invaded by parasitic bed bugs. Vacuum your home’s floors, mattresses, box springs, and upholstered furniture routinely. Teach children to keep belongings up off of the floor and to always hang coats and bags on hooks or place in their cubby. Inspect any hotel room that you are going to be staying in for bed bugs before bringing your belongings inside of it. Keep personal items up off of the ground when spending time in public places. Bed bugs can be found in most public spaces including libraries, movie theaters, airports, hospitals, schools, shopping centers. Do not purchase a used mattress, box springs, or furniture for your home. Know what bed bugs and the signs of their presence look like so that you can get immediate help for an infestation. If you ever suspect that bed bugs are living inside of your home, immediately contact Big Blue Bug Solutions. We will quickly send a bed bug inspector to your home to complete a thorough inspection, if bed bug activity is found, our professionals will act fast and implement a tailored plan to get rid of them! Contact us today to learn more.